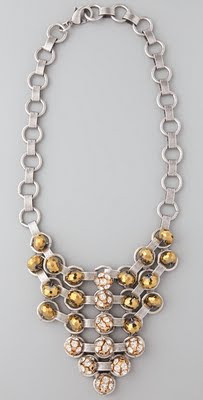 If your closet is filled with tees, blouses and dress shirts in need of an accessory pick-me-up, consider adding a bib necklace or two to your jewelry box. A popular trend that's managed to last many seasons, the statement necklace shows no signs of slowing down. In fact, more and more styles are coming out. Whether you like floral chiffon blooms, metals, colourful stones, sparkly gems or wooden beads, there's one to suit every style and budget. Now the question becomes: Can you narrow it down to just one or two? If you're going to wear yours as much as I wear my collection of necklaces, you can definitely justify purchasing more than that. In other news, are any fellow Vancouverites as excited as I am that this city's first Anthropologie location is opening tomorrow?! I love the Danijjo one! Super excited for Athro -- they have crazy sales! 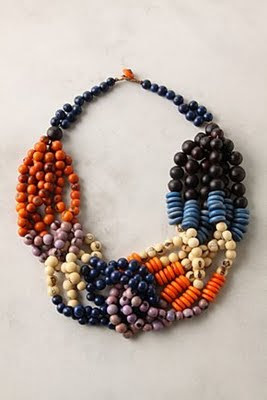 I've been on the lookout for some great bib necklaces, great finds! 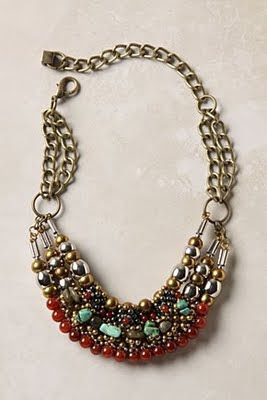 I'm SO excited for Anthropologie!! Are you going to the opening tomorrow? We could plan to stop by together? I went to Anthropology yesterday! But I didn't really like anything, clothes are very similar to Urban Outfitters, and I prefer U.O. The home stuff is beautiful, but so pricey! I'm excited they are here, but it's just too much ($$)!! Julia, I visited Anthropologie yesterday too! You're right, some things are outrageously pricey there (my friend Alicia Fashionista spotted a $715 serving platter). On the other hand, they do have some reasonably priced items. I ended up getting a pair of navy city shorts, an orange cardigan, and a gold link bib necklace. 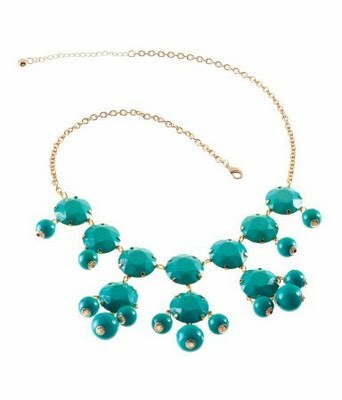 I love Turquoise necklace so much.